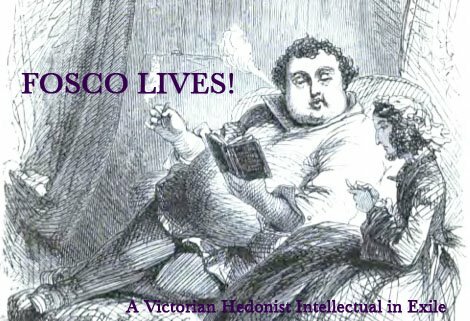 Fosco Lives! : Fanks Easther Bunny, Bawk Bawk! I don't quite recall the religious significance of Easter, but I'm pretty sure it has something to do with Jesus bringing his son's pet rabbit back from the dead. 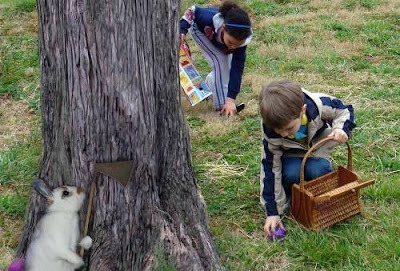 Of course, free thinkers question whether Jesus actually resurrected said rabbit or whether he just managed to find an almost identical one at the local pet store. Even so, pretty much everyone agrees that the rabbit was named "Mary Magdalene." At any rate, here are some Easter-related titbits. Is it wrong to root for the bunny? Second, for all of you Goth readers of Fosco Lives!, here's a rabbit funeral dance, choreographed by the morbid and talented Wade Robson. Oz and Fosco have loved this dance ever since they saw it last summer, particularly the leg hops that start around 2:21. Yes, Virginia, bunnies can be terrifying! On Easter, Fosco is always reminded of one of Patti's best lines: "Jesus died for somebody's sins, but not mine." Word, Patti. Everyone knows that Easter is when zombie Jesus rolls away the stone covering his tomb, comes out into the light and if he sees his shadow we get six more weeks of winter. It's always right to root for the bunny. My Easter was spent by a pool drinking Absinthe cocktails. I'm going to Hell for sure.